Stay in touch with the latest news and videos, to help keep you safe on the roads. April 2014: MyLicence Easter Newsletter. March 2014: Road rules update. November 2013: Changes to Graduated Licensing Scheme. 10 January 2013: Road Rules Refresh. 31 May 2012: Mobile Phone distractions. 28 November 2011: Tackling the second driving lesson. 22 November 2011: Tips for finding and choosing a driving instructor. 18 November 2011: I had a crash...what do I do now? ; Now 100 on more rural roads. 15 November 2011: Tips for dealing with passenger distractions; Have your say on changes for L and P drivers; Schoolies 2011. 20 October 2011: Have your say on proposed changes for L and P drivers. 19 July 2011: High Powered Vehicles update. 8 June 2011: Sharing the road with heavy vehicles; Are you insured? Tips for hanging onto your licence; have your say on Draft Road Safety Strategy. 15 April 2011: Prepare for plenty of Easter traffic; Hints and tips for country driving; Is your vehicle ready for the drive? 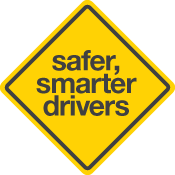 ; Streets smart drivers plan ahead; Teenager shares award winning video. 1 March 2011: Drive Adelaide's city streets with confidence; Complete your 15 hours of night driving; Stay on the safe side when car hunting; Are you leaving a big enough gap? 13 September 2010: Top tips for buying a car; Practice, practice, practice; SAFM's Hayley put to the teat; Teaching someone to drive; A safer tomorrow starts today. The Driving Companion contains the log book to record your learner driver's compulsory driving hours and they will get a copy with their learner's permit. Use this handbook to help you get to your P2 licence stage and become a safer driver. The handbook contains important information about riding techniques, how to cope with hazards and some road rules for motorcycles. South Australia's Road Safety Strategy 2020 and Action Plan - Towards Zero Together. South Australia's Compulsory Third Party (CTP) Insurer. MAC also manages the Government's road safety communications program. SAPOL provide a broad range of police and community services for the South Australian community. On-line registration and licensing renewals and other related transactions. Your identity is one of the most valuable things you have.